Commercial Flooring Estimating - Your online take-off service! WE DO FLOOR ESTIMATING ON COMMMERCIAL PROJECTS! We're providing an estimating solution which would drastically cut down on your operating costs and office expenses, allowing your business more time to focus on sales, bids or other direct client opportunities. Consider our service as an extra "office" hand that is much cheaper, precise and timely. Let us do the estimating for your company! - We can estimate for carpet, resilient, rubber, cork, plank flooring, etc ! - Fast take-off estimates available, within a 24 hour turn-around ! - The most accurate take-offs you will ever find, using the professional Callidus software ! - State of the art reports, seam diagrams, colored layouts, with product keycode integration ! - Material quantification designed to lower all waste factors, yet implement all design needs ! * In 2018, celebrating 10 years in business !!! * Thousands of completed projects and hundreds of clients (commercial flooring install companies, architects, designers, manufacturers, etc) ! * We are trusted by StarNet members, FUSE Alliance members, World Floor Covering Association members, Abbey's members, AFA, CIR, etc. * Saving companies time and money, while simplifying the entire estimating process with acurate results is our goal. Call or e-mail us to learn our simple cost saving process and we're confident that succesful results will follow. We are here to help by giving you an extra hand. - Present architects the specified "shop drawings" for submittal & approval purposes! - Give installers accurate, easy to read, color coded plans to use for material installation! - Say "Good Bye" to chicken scratch floorplan material takeoffs & installation instructions! - Be professional ! Be accurate ! Be the BEST ! Reduce your overhead costs by using a solution that works ! "Thanks for your support of our network; our members love working with you! " "I have worked with CFE for over 7 years. Cristian is very professional, his work is concise and completed within a very reasonable amount of time. The attention to detail makes putting together my quotes very easy. The overall package that is delivered is well worth the cost. I would highly recommend his services to anyone in need of it "
" I couldn't be happier. Everything was perfect. I'm very happy and will recommend you highly. This job was complicated and you did a great job of making the bid easy to submit. Thanks for your quick response and attention to detail ! " " My experience thus far with CFE has been pleasant. You have turned my estimates over in less than 24 hours... and your attention to detail has really helped us to not miss any flooring on our projects. You follow up and always keep me posted on the status of the estimate. I appreciate your hard work. CFE has provided us with a service that is convenient, efficient, and reasonably priced. I will continue to use your service on upcoming projects and would gladly recommend you. " Our commitment on providing you with exceptional service is our goal and to further the partnership between our companies. FREE - Pro Estimating Sheet! 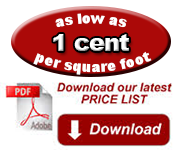 Commercial flooring estimating sheet, with material costs, labor costs, adjustable profit margins, and more... See sample before you purchase it!